This brilliant list was prepared by rockstar Sarah Tautin. Read along for the full list, or just download a documen here: food-festivals-2009. CAVEATS: State Fair info. is as of 3.1.09 unavailable for GA, and RI’s Washington County Fair…FL’s state fair is in February…Pennsylvania’s fairs are divided up by county. Many more county agricultural fairs exist beyond those in PA – they would just require a more exhaustive search/checking back later in the year for updated information from county-run sites to confirm details. March 14, 2009. Maui County Agricultural Festival. Seeks to raise awareness of the business of agriculture and its connection to our daily lives. An annual event designed to promote the microbrewery revolution in Hawai’i, to encourage professional brewers & chefs to work together and have a significant and positive economic and environmental effect on the community. The annual Farm to Table conference highlights the connections that can be made between buying locally produced food, creating a healthy economy and getting the most nutrition from your food. Highlights include a food tasting, presentations, demonstrations and an outdoor farmers market. Details: A portion of the proceeds will be donated to the Mt. Angel Booms & Blooms in an effort to continue the Firework & Flower Basket traditions. Wine vendors from local and regional wineries will have product on display for sampling and sales. Local food and retail vendors will have product on display for sales. The Michigan International Wine Expo is a unique fine wine and gourmet food experience, featuring wine tasting and seminars along with sampling from the area’s premier restaurants. USA’s Largest Whole Hog B-B-Q. The Southern Breeze Wine + Culinary Festival visits cities throughout the Gulf Coast states to share the love of fine wine, gourmet cuisine and Gulf Coast culture. Food & Music. This popular Louisiana themed event features the best in Louisiana cuisine. Enjoy an extensive menu of Cajun seafood. The highlight of the show is 6000 pounds of jumbo crawfish and other bayou favorites. Entertainment, music. Features local inns, restaurants & chocolatiers from New Hampshire showcasing their delectable delights. Sample the chocolate on display and are vote for the People’s Choice Awards of “Best Chocolate” and “Best Display.” Additionally a panel of judges will be on hand to bestow awards in the same categories. Details: An Herb festival in historic Wake Forest, N.C. featuring herbs and perennials for sale as well as entertainment, good foods, heritage plants and fun as a spring vacation destination. A lifestyle festival helping teach how to enjoy the moment as you go about your day to day life. Over 5 tons of catfish served. The history of the “Fish Fry” started with the farmers and their mules. Each past “Fish Fry” makes new history by trying new and different things, increased attendance, more catfish served, and more community involvement. Includes: presentations by leading food & wine experts, recipe demonstrations, wine tastings, culinary and wine seminars, book signings and unique cuisine, wines and spirits from nationally acclaimed Chefs & Sommeliers pairing with chefs at local award winning restaurants. Waterfront campus of Chesapeake Bay Maritime Museum. Museum exhibits included in festival ticket price! VIP Charity Reception kicks off Festival on April 23. Celebrating the region’s rich agricultural history as one of the premier dairy regions in the country. Together with The Petaluma River, eggs and dairy products turned Petaluma into one of the most prosperous communities in the state in the early 1900’s. The event typically draws over 25,000 attendees. Details: The seventh annual Pittsburgh Wine Festival will be held on Thurs. April 30, 2009 in the Club Lounges at Heinz Field. The VIP Tasting will run from 5:00 PM-7:00 PM and the Grand Tasting will be from 7:00 PM-9:00 PM. Red, white and sparkling wine will be featured at the event. More than 150wineries from California, France, Italy, Australia, Spain and New Zealand will be represented, including a fair representation of owners and wine makers. Prices are $250 for the VIP Tasting and $125 for the Grand Tasting. Sponsors benefit the University of Pittsburgh’s Cancer Institute. The oldest wine festivals in Texas. 3 days of fine wine, exceptional food, live music and more. Events include Uncorked & Unplugged Wine & Food Pairing, Wine & Dine Gourmet Dinner & Grand Auction, Fork & Cork Tasting Finale. Proceeds benefit the San Angelo Cultural Affairs Council. Details: This is quickly becoming THE music event in in Jackson MS. The festival is going into its 4th year and we expect 20,000 to 25,000 in attendance this year. This event features 11 national artists on stage. Details: This is THE music event in Birmingham, AL which drew over 42,000 in attendance last year. This event features 11 national artists on stage with expected attendence of 50,000 this year. The event is one of the largest crawfish boils in state. This event features thousands of pounds of boiled crawfish in addition to other traditional Cajun and Creole fare such as red beans & rice, crawfish pie, boudin balls, and even fried gator tails. A Food, Wine and Art Festival. Featuring wines from several regional wineries, culinary delights from local restaurants, cooking demonstrations from local chefs, regional art and wine lover accessories, Jazz music. Each year on the first Saturday in May, thousands of homebrewers around the world unite to celebrate National Homebrew Day. Brewers brew the same recipes and toast simultaneously at noon Central Time. The World Tea Expo is the largest trade-only conference in the world showcasing tea and tea-related products. Details: This will become THE Pop\\Rock music event in St. Augustine. It is patterned after the highly successful Birmingham Festival that had over 42,000 in attendance last year. We are expecting 50,000 this year. This event features 11 national artists on stage. 60 Beers, 40 Bourbons, Lots of BBQ and One Unforgettable Good Time! An annual celebration of craft brewers and the culture of craft beer. Check out the website for a list of participating breweries in your area. Details: This will become THE Pop\Rock music event in Greenville, SC. It is patterned after the highly successful Birmingham Festival that had over 42,000 in attendance last year. We are expecting 50,000 this year. This event features 11 national artists on stage. Details: This is quickly becoming THE Pop\Rock music event in in Nashville, TN. The festival is going into its 3rd year and we expect 20,000 to 25,000 in attendance this year. This event features 11 national artists on stage. More than 90 area wineries host an array of special events including winemaker dinners, food pairings, seminars, winery tours, special tastings and more. Always held the third weekend in May. Each year strawberry lovers unite for the premier outdoor event tempting any appetite for fun. This multi-faceted celebration serves up a menu of delectable strawberry delights, along with non-stop entertainment, Strawberryland For Kids, gooey contests for berry lovers of all ages, and more. Nationally recognized as one the most prestigious festivals of its kind and features over 175 wineries and 1000 wines over the 5-day event, which now continually raises over $125,000 Annually for local charities. Details: Louisiana styled music & food. Crawfish, jambalaya, boudin plus red beans and of course some Texas favorites too. Second annual gumbo cook-off! Horseshoe andwasher pitching, arts and crafts, fun children’s area with jumping castles, face painting, and rockwall. The Garden Grove Strawberry Festival celebrates its 50th year, making it not only one of the largest community festivals in the western US, but also one of the oldest. SAVOR, the quintessential beer and food event. Craft beers from 65 small, independent & traditional craft brewers who will personally pair their offerings with sweet and savory appetizers. Educational salons and workshops will provide additional opportunities to interact with some of America’s most celebrated craft brewers. Come out to the Taste of Pennsylvania Wine & Music Festival and enjoy samples from at least 10 PA wineries, while you enjoy live music. Over 40 local craft and business vendors will be in attendance as well as local food vendors. World Pork Expo is the trade show for the pork industry worldwide. Details: The 2nd Annual Food & Wine Festival at National Harbor, a waterfront, world-class event, will pair the cuisine of renowned chefs with fine wines and beer from around the globe. Guest will have the opportunity to learn about the latest food and beverage trends in a beautiful and unique setting on the Potomac River. Details: Two smash up derbys, tractor pulls, truck pulls, live stock shows and barns, Midway with food vendors and rides. Showcase of decadent chocolate and wine tasting with some of the best wineries and vineyards, plus live music, and many specialty gifts. The best of Virginia’s Chesapeake Bay Country at Ingleside Vineyards. Taste wine from the wine trail wineries along with great seafood, BBQ and live music. A great day trip from Washington DC, Maryland or Northern Virginia. Jacques said it best – Wine is food. The only show in the industry that gives you access to more organic companies and more certified organic products than any other trade event. A fun, educational gathering designed to enhance homebrewers’ brewing skills and knowledge and increase homebrewing camaraderie. Special seminars and events cater to beer enthusiasts and amateur brewers of every level. The School Nutrition Association’s premier event is the largest and most important annual gathering for the K-12 school nutrition profession. The event will showcase over 250 wines from local, national and international producers. Guests will enjoy musical entertainment, international foods, artist exhibits, discussions on wine trends and various raffles throughout the weekend. The Louisiana Watermelon Festival has been named one of the Top Twenty Events in the Southeast by the Southeast Tourism Society. Details: A real agricultural fair in Warren County, featuring a hot air balloon festival, traditional arts expo, Elvis impersonator Ryan Pelton, 4H & FFA exhibits and more. July 31-August 9, 2009, Bangor State Fair, 100 Dutton St., Bangor, ME, www.bangorstatefair.com. Mead Day, organized by the American Homebrewers Association (AHA), is a national event to help increase camaraderie among homebrewers and meadmakers and to introduce or reintroduce the meadmaking hobby. August 13-22, 2009, Skowhegan State Fair, off of Route 201 North, Skowhegan, ME, www.skowheganstatefair.com. Details: Music, entertainment, parade, BBQ Cook-Off contest, food and craft vendors, car show, motorcycle show, tractor pull, horse show and many other fun things for the whole family. Details: Family festival celebrating the harvest of Maine wild blueberries. Entertainment, contests, great food, over 300 crafters. August 20-30, 2009, Kentucky State Fair, Kentucky Exposition Center, Louisville, KY, www.kystatefair.org. August 26-30, 2009 Nevada State Fair, 1350 North wells, Reno, NV www.nvstatefair.com. 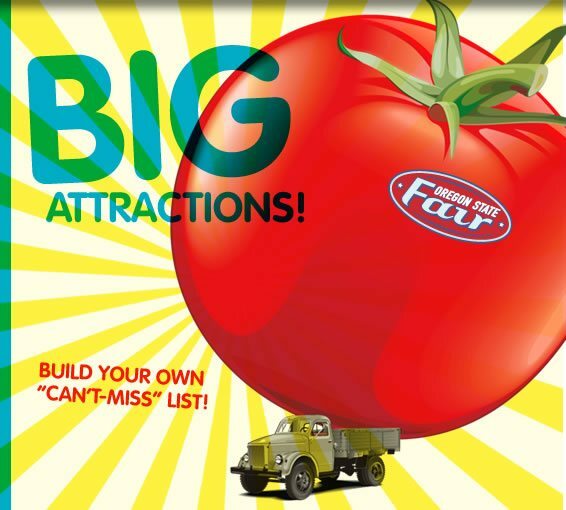 September 5-12, Eastern Idaho State Fair, Blackfoot, ID, www.idaho-state-fair.com. September 11-27, 2009 New Mexico State Fair, Albuquerque, NM, www.exponm.com. 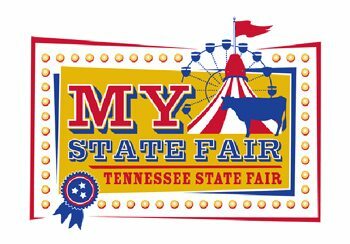 Details: Award winning traditional county fair with free entertainment, livestock shows, individual and group exhibitors compete for prizes, carnival midway. Member Association of Alabama Fairs, Inc. and IAFE. Carnival provided by Kissel Entertainment. Location: 8243 East River Rd. Details: Come and make your chili on site and have a Good Time. See you there! Details: Join us for our second annual Band and Brew Blowout. Last year we had 15 micro breweries from the region and five bands compete for the $1,000 grand prize! There was face painting, bounce houses, and coloring for the children while the parents enjoyed samples of fine brew and wonderful music. Details: One of 20 official weigh-in sites for Great Pumpkin Commonwealth. In 2008 we weighed a 1244# Pumpkin. Line Main Street with craft and food vendors, entertainment all day, concluding with a Punkin’ Chunkin’ Contest.